Nice and helpful staff, clean kitchen and room. And that’s the cheapest accommodation in Flåm! Beautiful setting overlooking the bay and very convenient location near the train station. Good breakfast as well as restaurant right next door with daily local beer tasting every day at 5:30PM. The staff is extremely friendly and helpful. Highly recommended. Where to find Hol hotels near an airport? Where can I find hotels in Hol that are near tourist attractions? There are no Expedia accommodation options in Hol itself, so a good solution is to stay in one of the 7 hotels less than 0.1 kilometres (0.06 miles) away. 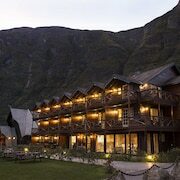 The nearest of our hotels is the Bardøla Høyfjellshotell, Norway, which is located 12 kilometres (8 miles) from the center of Hol. 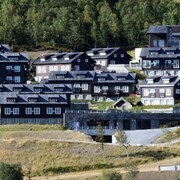 Also, you could try the Dr. Holms Hotel, located in Norway, which is 12 kilometres (7 miles) away. The Highland Lodge is situated 12 kilometres (7 miles) from the heart of Hol and is good for travelers who like to stretch their budget. 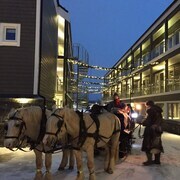 An alternative budget place to stay in this region is the Ustedalen Hotell Geilo. 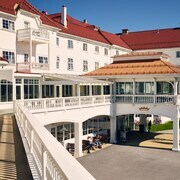 The Vestlia Resort as well as the Havsdalsgrenda Apartments are two great accommodation options to investigate. The Vestlia Resort is situated 12 kilometres (7 miles) away from the center of Hol. 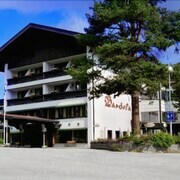 The Havsdalsgrenda Apartments is situated 11 kilometres (7 miles) away. 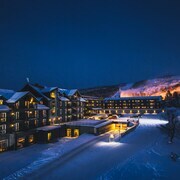 Another great options is to enquire about staying the Geilo Hotel. You'll find it 11 kilometres (7 miles) from the middle of Hol. 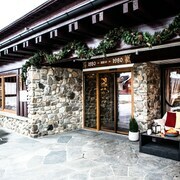 The Hemsedal Ski Center is a often visited destination here. 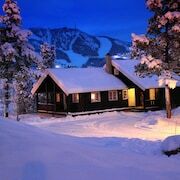 Stay the night in Hemsedal, which is 45 kilometres (27 miles) to the northeast of the heart of Hol. 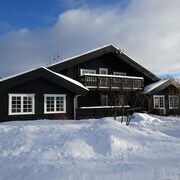 The Hemsetunet Apartments and Skogstad Hotell are among your choices. Searchfor our current Hol travel listings and learn about the great visitor attractions this area offers visitors. What are the most popular Hol hotels? 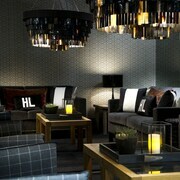 Are there hotels in other cities near Hol? What other types of accommodations are available in Hol? Explore Hol with Expedia.ca’s Travel Guides to find the best flights, cars, holiday packages and more!